PointsConnected is a pioneer in web-application development. In 1997, we developed one of the first database-enabled websites on HPs world-wide intranet. For over 13 years, we have served a wide-range of businesses, from startups, to Fortune 500s. Located in the San Francisco Bay Area, we serve companies in all industries; from manufacturing to distributing, from packaging to retailing and financing to technology .... and the list continues to grow. We focus on gaining an in-depth grasp of our client's business model and objectives. With this understanding, we partner with our clients to reach their technical and strategic goals, and to provide measurable business results. We are committed to ensuring client satisfaction and building lasting partnerships. PointsConnected provides solutions for the internet, extranets and corporate intranets. Additionally, we deliver state-of-the-art database modeling and development. However, we pride ourselves on being 'buzz-word free'. We want to help our clients understand technology - not scare them with it. In this way, we are a technical training resource. PointsConnected employs a team approach on each project, partnering with database architects, online marketing experts, graphic designers and networking specialists, enables us to provide cost-effective solutions for today's business objectives, as well as, technologically-enabling our clients to deal with the changing demands of tomorrow. The Adobe ColdFusion application server enables the rapid development, deployment, and maintainance of rich and robust Internet applications. Rapid application development simplifies difficult tasks to only a few lines of code. Integrates easily with any client or server-side environment. Simplifies RIA development through tight integration. Development time is 2–4 months to develop a small to medium-sized application. Miva Merchant offers a complete e-commerce solution consisting of PA-DSS validated ecommerce software, PCI-compliant ecommerce hosting, credit card processing services. Unlimited design flexibility gives you complete creative control over every pixel on every page. Customize pre-built templates with your logo to get a branded web store started in minutes. Tap our professional web designers & developers for a custom ecommerce web design. Access is a database tool for gathering and understanding all your information—your clients, prospects, inventory, vendors, whatever you’re tracking — and Access provides a convenient way to enter, navigate, and report out your data. It can be used as a back-end database for a web application, or used on the desktop as a stand-alone database system. PointsConnected provides expertise in both MS Access and MS Excel. E-Commerce SolutionsWe will build your online store with shopping cart software that's full of easy-to-use tools - no programming skills required. Web Application DevelopmentAs experts in complex corporate web development, we build robust, flexible, scalable and effective web applications. CRMWe can customize CRM solutions or recommend off-the-shelf solutions based upon your specific business needs. Our recommendations vary with project size and scope, and are driven by customer interaction and data gathering across the entire organization. Projects can be narrowly focused on a team of salespeople or project managers. Cold Fusion - CFMLThe Adobe ColdFusion application server enables the rapid development, deployment, and maintainance of rich and robust Internet applications. 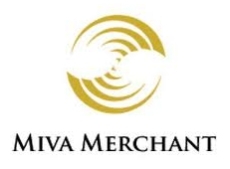 Miva MerchantMiva Merchant offers a complete e-commerce solution consisting of PA-DSS validated ecommerce software, PCI-compliant ecommerce hosting, credit card processing services. MS Access / Ms ExcelAccess is a database tool for gathering and understanding all your information—your clients, prospects, inventory, vendors, whatever you’re tracking — and Access provides a convenient way to enter, navigate, and report out your data. 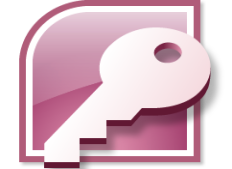 It can be used as a back-end database for a web application, or used on the desktop as a stand-alone database system.